Dr. Ross is nationally known as a leader in higher education, especially in the field of cross-cultural communication. In 1982, she became the founding president of Heritage University, where she oversaw its growth from 85 students to more than 1400. Today, she is working to share the success of the Heritage model with colleges and universities throughout the United States. In 2018, Harvard University Press published her book based on work with first-generation-to-college student research assistants, identifying often-overlooked needs of these students. Breakthrough Strategies: Classroom-Based Practices to Support New Majority College Students received wide visibility and speaking requests from universities nationally. Dr. Ross has received numerous awards, including the 1989 national Harold McGraw Prize in education, the 1995 Washington State Medal of Merit, and in 1997 she was named a MacArthur Foundation Fellow, the so-called "Genius Award." She has received honorary degrees from more that a dozen colleges and universities. Dr. Ross holds a B.A. degree from Fort Wright College (predecessor to Heritage University), an M.A. from Georgetown University and a Ph.D. from the Claremont Graduate University. At Claremont, she did her dissertation on cultural factors affecting the success of American Indian students in higher education. 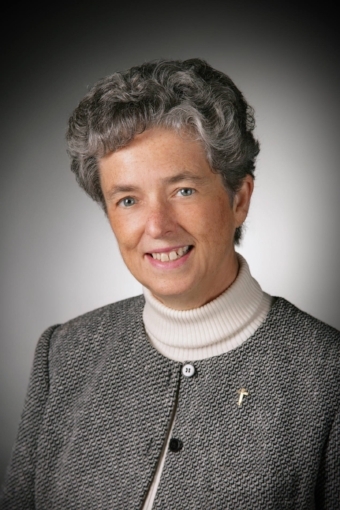 She has been a member of the Catholic order of Sisters of the Holy Names of Jesus and Mary since 1982.